Shhh. Incredible events in progress. Host unforgettable experiences with Sound Off™ wireless headphone technology, letting guests tune in to up to three channels of audio from DJs, event leaders, fitness instructors, and multimedia presentations. Only those with headphones can hear, so while participants are fully immersed in your event, no one else can hear a thing — whether it’s a silent disco party or yoga on the beach. Our transmitters have a range of up to 500 yards, transforming any area into a unique event space that guests will rave about long after they’ve gone home. Ready for your Sound Off™ Experience? Check out our Upcoming Events to find an event near you. 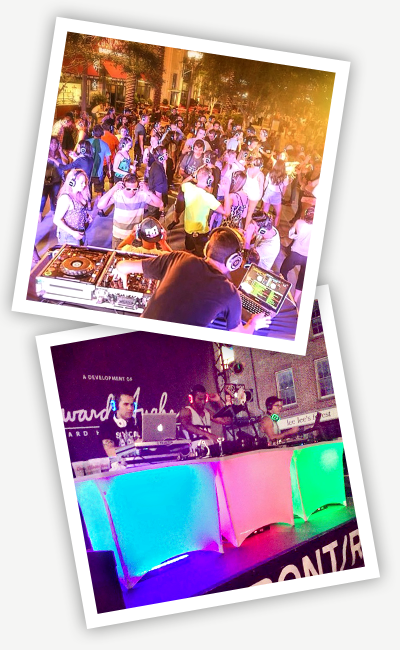 From silent disco to Sound Off™ Yoga to rooftop movie showings, there’s something for everyone. Or visit our Clients page to see who we’ve partnered with in the past, and how you can become a Sound Off™ partner today! Colorful, electric and vibrant! 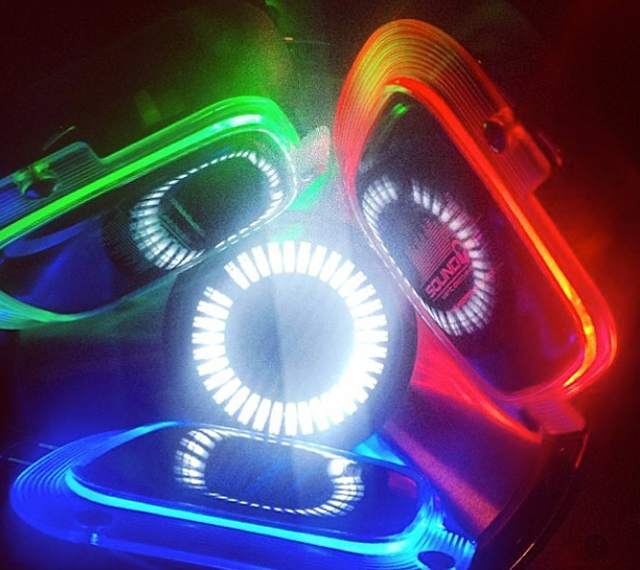 Our GLO EXP headphone, with three music channels, corresponding LED colors, and a range of over 500 yards! The limitations of noise ordinances are a thing of the past. With no amplified sound, you’re free to host your outdoor event into the evening hours! Check us out on Vimeo to see for yourself! Our resident Sound Off DJs keep your party going all night long! With a variety of genres and styles, we work with DJs all over the globe to bring you the best. Dancing in the streets @TheSeaport #silentseaport #silentdisco. Thanks for an awesome evening @soexperience !